“If you’re good at something, never do it for free”, Joker, The Dark Knight Rises. 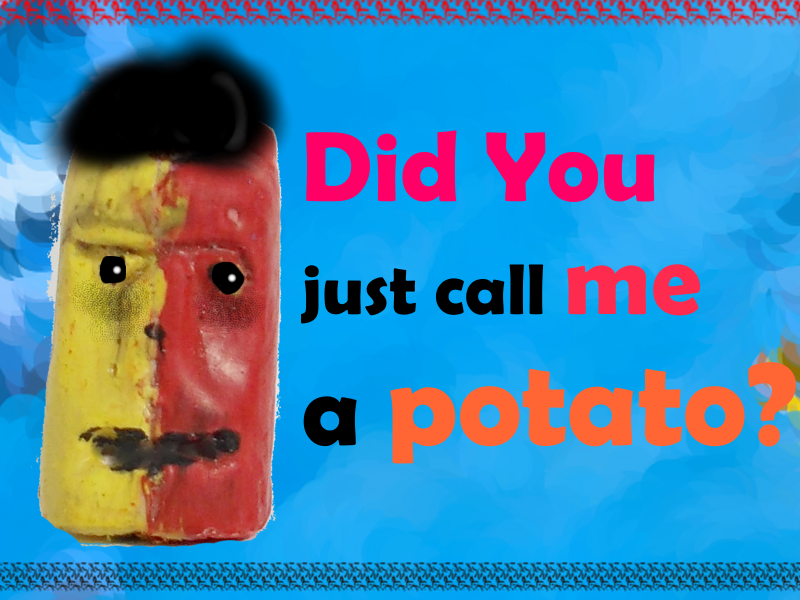 Even you would agree that the dialogue is super cheesy. Fortunately the meaning holds perfectly true for current blogging atmosphere. Take examples of bloggers, the one of the things they’re good at is writing, so the obvious question, Why not use the skills and get something done for yourself. Usually bloggers benefit from their writing skills through advertisements. But new concept dictates the use of this indispensable skill as a barter system. In simple words, “You do something for me and I’ll write an article for you”. The same was true until an unnamed blogger decided to barter his services for something he wanted. So he went in search for the same and one day found a suitable firm which was ready to provide a service unless and until he agreed to write an article for the firm. 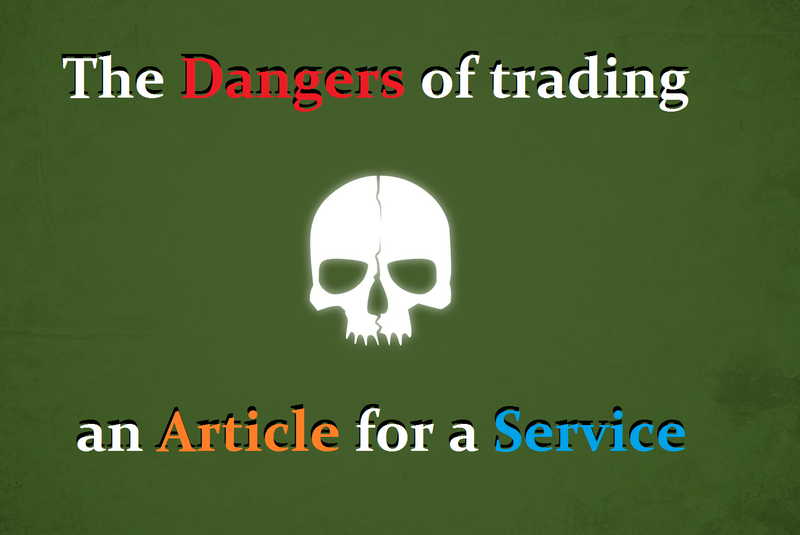 But little did he know about THE PERILS OF TRADING AN ARTICLE FOR A SERVICE. Here is an email thread between the firm and the unnamed blogger, The names of the entities have been changed to protect identity. Find the Email Thread about Sam and Sue here. Let us discuss what went wrong and how could it be rectified. The major reason why such arrangements fail is because; neither party is willing to work with full efficiency in the beginning. This is because there exists no monetary transaction. This was the precise reason why barter system failed in history. For that failure the reason was you cannot equate fixing a window and a sack of rice. Similarly you cannot equate an article and a service unless there is professionalism in both the parties. What do I mean by professionalism? Professionalism in any task is shunning the informal way of working and adopting a mean result oriented approach towards things. It the main reason why corporates thrive and small businesses do not. How could it be Rectified? So how do you get into professionalism? Easy, you make sure that you follow the following points. This is not a deal, neither the party is working for free, nor are you. It is best if you could determine the boundaries of your relationship, i.e.. What you are planning to do and what you are expecting the party to do. Always set a deadline for the job to be completed. Break the job into parts. And include penalties in the proposal document if a part of the work is not completed within the stipulated deadline. Also work out about the license of the final product, you can look at some articles on creative commons or thy types of licenses you can use. You must write proper English. People won’t take you seriously if you write like a kindergarten student. You write complete sentences and no abbreviations unless absolutely required. Remember you’re writing an email and there is a difference between email and a text. Try and keep informalities out of the equation. This is a business deal and not a social network. Periodically inform about the progress of the work. To keep things simple, try and give the progress report in a tabulated sheet at the end of the week. Once the job is completed inform about it and ask about their portion of the work. If you have made the proposal document, after completion of the works from both the parties, drop an email stating that the agreement has been carried on in the desired way and tell them it was a pleasure working with them. Show your availability for future jobs if you genuinely find the party to be a delight. Nearly all webmasters encounter spam on their websites. But a few have the time to properly read the spam before deleting it. 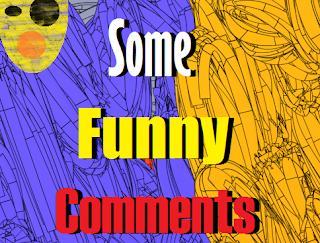 On reading spam comments, you find that even spammers have a funny bone. A creative individual would always find new ways to do things. Such is the creativity displayed by spammers while dodging the inbuilt blogger filters. 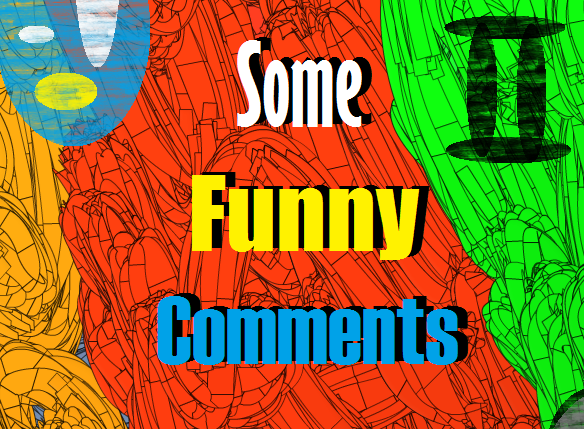 The following are some examples of such comments where spammers tried link building as well as humor creation. The following anonymous comment was left at an article few months back, Though the comment has been deleted, but its still funny to see the situation of the spammer, who gets up at 6 in the morning to spam and tries to sell twitter followers. The shaving mirrors has been one of the most loyal spammers on codemakit, this was until a message was displayed near the comments section about nofollow attribute and its usage in comments section. The following comment was left at How many Internal Links do I need to be in top 500? Even then it’s comment is usually filled with text followed by an obvious link. The following comment was left at Include a favicon in your site, However it has been removed for obvious reasons, The guy tries to explain that the article is rife with spelling problems and then attaches a link to help lose weight fast at home. The anonymous comment spams at 7 in the morning, but the one thing that gives humor to the comment is its flattery flavored semantically incorrect text. Again a link to get followers (what do you think of a guy who wakes you up in the morning to sell twitter followers. 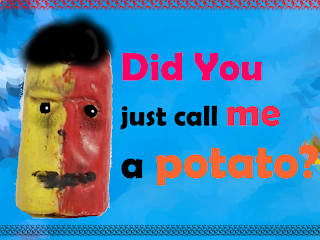 A potato blogger is one who presents copied or banal content taken from other websites and presenting in his own words. And as you may have guessed, there is a slight difference between a potato blogger and a Lazy blogger. The blogger is uninterested in the whole blogging scenario, He finds the task of managing the Blog tedious and unworthy of his time A potato blogger is never uninterested in the management of his blog; He is just uninterested in the generation of new ideas. 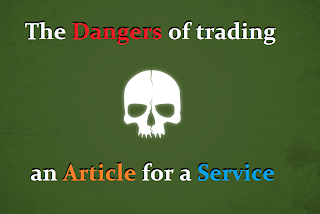 Does not post the articles regularly and If posts at all, deteriorated articles are often encountered. Tries to post as regularly as he can. Even if that means a deteriorated article. Does not reply to the comments or moderate them(removal of spam comments) and does not experiment. Replies to the comments with full enthusiasm and vigor. Also moderates the comments with equal force and experiments. Lets Get you out of this mess. Often people are bogged down with the quantum of work. They are so mismanaged in their own ways that they forget their own style and adopt time saving but treacherous ways to solve their problems. It can be either way round too, some people are perfectionists. When the person finds that the work at hand needs to much attention, he first forestalls and then abandons the task altogether. So what to do to get you back on the track? Try the pomodoro technique but this time set the time limit to 10minutes only. Force yourself into the action and even if you repeat just three cycles of pomodoro with what you do not like, you will make considerable progress. For Example, You do not feel like researching then writing for a topic. Do one thing, sit for 10 minutes, and for the first cycle, spend the time researching on the topic in question, then take a break. In the next cycle take down the research, assimilate the points and start writing, even if you don’t feel like it, even if you feel like you’re gonna retch right now. But, if you love your creation and do not want to see it die, you will have to bear the pain. Is your room alignment or the furniture orientation distracting you? Or are you distracted by the sounds of blaring horns coming from your window? Or is it your own housemates? Think about it, remove the distractions, keep something that will help you soothe your mind and help your concentrate. 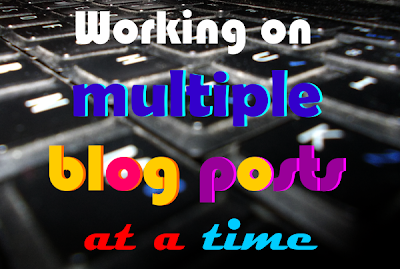 Switch off your television, remove the headphones and start blogging. You will feel how it clears your mind. Bloggers often find it difficult to keep them motivated during times of depression. This is because at such times, the blogger does not spend nice amount of time to his blog, the blog suffers and certain dreadful things happen, that too all at once. First your visitor count will drop, then your bounce rate will increase, then comes the number of unique visitors and then at last the image of the blog. All these things together force the blogger to go into a vicious spiral which he cannot escape. In these times a blogger must find inspiration as well as motivation. Look at other blogs, see how the’re doing. Find out the PageRanks of your competitors. Find out their style, read your comments be motivated, love your creation once again. What are you among the two? The following post is for those who have just bought a domain or is thinking of buying a domain from godaddy.com and would like to host their blogger blog on that domain. This post is just a walk through. After completing the formalities and registering you will be provided a customer code. In future, you need to sign in using this customer code and your password only. Once this is done, just type-in your desired domain name and press enter. If it is available, then well and good; if it’s not then you’ll have to find another combination of your domain name and the suffixes like .org, .com, .net etc. Once that is done, you will have to check out from the location towards the billing area. At this page go to tools menu and select DNS Manager from the drop down list. Notice the top left navigation bar, Under the Home tab you have 3 settings, Dashboard, Zone File Editor and Advanced settings. Now find the ‘A host’ attribute, For ‘A Host’ you need to create 4 different records. Click on ‘Add Record’ button located on the top left potion of the page. Now for ‘host Name’ just type ‘@’. For the ‘points to IP address’ enter the following IP address for Google ‘216.239.32.21’. The same procedure has to be repeated for 3 more times with ‘host Name’ as ‘@’ and the IP addresses as ‘216.239.34.21’ ‘216.239.36.21’ ‘216.239.38.21’. Now the obvious question which comes to everybody’s mind right now is what are Zone files and Zone records. When you buy a domain name from any vendor, be it godaddy or google; Every single domain will have a zone file and each zone file will have zone records. Godaddy supports upto 20 zone records. Now these zone records contains the domain name server information which links the particular domain name (your domain name) to the specific IP address. Regarding Zone records, the above discussed CNAME is an alias for a host, using it you can have more than one DNS name for a host. If you talk about ‘A Host’ it maps the IP address to the host name. Now that you have completed the formalities from Godaddy’s end, Its time to complete the bridge from blogger’s end also. Now, to update your Blogger settings First thing you need to do is wait for atleast an hour before the changes made by you in the DNS take place. Usually the changes are reflected within an hour. 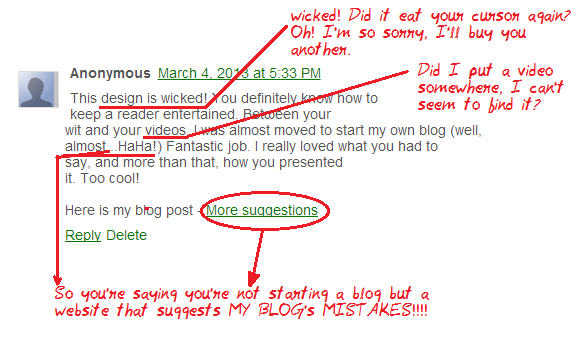 Now Go to the settings tab in your blogger dashboard,Click on ‘Other’. Now in the publishing subsection you will see a link to ‘add a custom domain’. Click on "Switch to advanced settings. 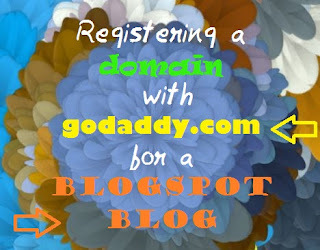 "After the http you need to enter the domain name you just registered on godaddy. Now once you’ve entered the complete URL and clicked on the ‘redirect’ option, you need to wait again. Before I conclude there is another question, What is this missing files host? There are times in huge websites when certain resources cannot load properly, for example images or videos. So what does the website developer do when he’she is confronted with such a situation. He creates a backup of the resources and instructs the website to fetch the resources from the backup if the original returns nothing. Similarly if you have a missing files host and you are trying to fetch www.blogname.com/image.jpg and you do not get the image you can use the host and get the files from www3.blogname.com/image.jpg. But for blogger users this might come as a shock to some that google’s blogger has discontinued the use of File Transfer Protocol (FTP) on its websites after the first of may 2010. Why not to submit your site to several websites? It happened to one of my readers and he shared the story with me. "Frustrated with low visitors and constant nudges from his competitors, The person went online, in search of new ways to make his blog fly. He landed on a website which claimed submission to more than 1200 search engines. After being asked to enter email address and some information, he was asked to enter his blog's name and address. Until then every thing went smoothly. But the downhill came when he opened his mail box. It was flooded with emails and spams (A total of 58 new unwanted emails in just a day). It is clear in the above case, that the website had links to several spam websites too and along with authentic search engines of google, yahoo etc, spammers were also included in the list. Now do you understand, how would a website like this earn, The spammers would pay the list to include their names. Also the spammer would earn when he/she sells the list of email addresses and names to large corporations for spam promotional emails and email phishing. The figure depicts the share of search volume by search engines from Karmasnack (July 2012). As is clear from the figure, Google's share is highest about 88.8%, Followed by Microsoft's Bing, taking 4.2%. China's Baidu owing to much larger population and usage comes on number 3, followed by yahoo. If you look closely, The websites boasting for over 200 search engines, even if true (and I'm not saying it is.) would come under 0.5 % of the total search volume. Now, most professionals know such trap and they do not indulge in such practices. But, there are some, who are relentlessness and keep visiting such places and submit to the sites, They are least bothered by the spam and to be safe, they use disposable email addresses, Their practices are unencumbered and are powered by hope of more visitors. Such people are "despowner" i.e. Desperate Web Owners, who are unsuspecting people, not from the web sphere like Lawyers, Doctors etc who mean well but fall into such traps. Take simple advice, Do not fall in the trap. Use your logic and apply other methods to optimize your website. 1. Use simple but effective SEO Techniques (understand, how rankings work). 6. Popularise your website through social networks like facebook. 7. Get your website checked for errors. How easy is my website's navigation? You've created a splendid website, with huge bucket loads of features and function, but are all its functionalities accessible to your users. Are all your buttons working? Have you put alt.text in all your images? Are there problematic hyperlinks in your website that you're unaware of? Or for even smaller mistakes like Are there empty header tags in your HTML code? Such small mistakes must not be over looked, as they make you look good on the bot diary, which finally makes you look good on the books of giant search engines like Google or Bing. Correcting such small mistakes would also lead to an improvement in your page rank, Alexa Rank, ASR ranks etc. Long story short, It will give you higher Visitors and more money for monetized developers. The following are the most common errors. WAVE 4.0 Development Team consists of Aaron Andersen, Jared Smith, Diogenes Hernandez as the project heads. The WAVE online tool, helps analyse the website on the basis of small mistakes in coding and accessibility, The tool Displays your website in their own window and mark the areas found to be faulty. On preliminary Examination, I found out that my blog has huge number of accessibility problems, But It is natural for such big a site and necessary corrections would be done in the near future. How to get feeds of websites to your email in just 5 seconds? For the purpose you can use a bookmarklet, i.e. of Feedmyinbox.com. Feed My Inbox is a Brightwurks idea. Using The Feed My Inbox bookmarklet pops up a window where you can subscribe to any feed(s) on the page you are browsing. Simply drag the link to your browser bookmarks toolbar to install it.